If you're interested in finding out the full story on the Kalamata Greek Grill franchising package, please fill out the information below. This form is not an application but a request for an application. Upon completion, a member of our Franchise Development team may contact you to discuss further steps toward becoming a Kalamata Greek Grill Franchisee. 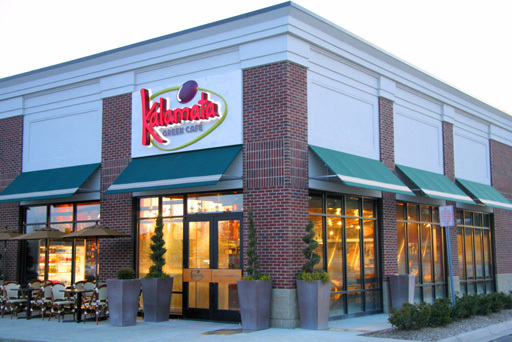 How did you hear about Kalamata Greek Grill? Have you ever visited a Kalamata Greek Grill*? Do you have multi-unit restaurant experience*? What market(s) are you interested in*? How many units would you wish to develop*? Would you be the primary operator*? This information is not intended as an offer to sell, or the solicitation of an offer to buy, a franchise. It is for informational purposes only. This communication is not intended for, and no franchises will be sold to, any resident of any state until the offering has been exempted from the requirements of, or duly registered in and declared effective by, such state and the required Franchise Disclosure Document (if any) has been delivered to the prospective franchisee before the sale in compliance with applicable law.